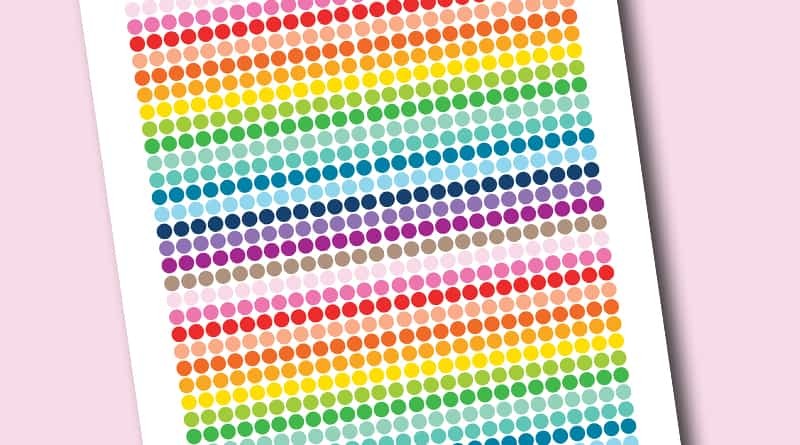 Here’s a set of functional rainbow colored circles stickers to help you color code and decorate your planners! Each circle is 0.25″. 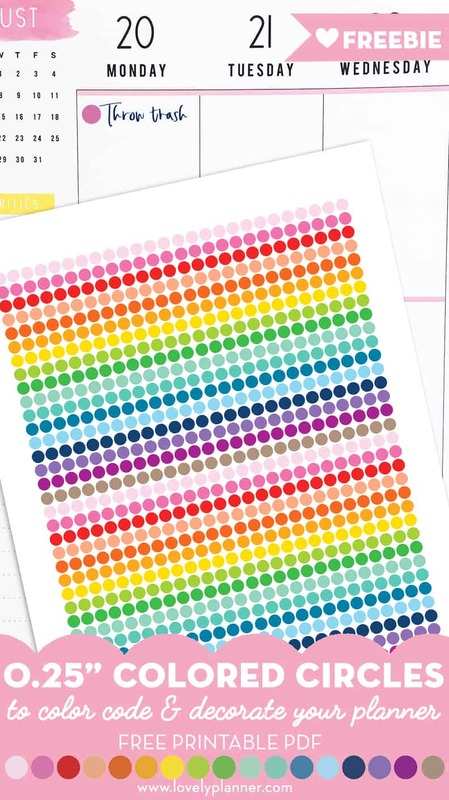 Check my other free planner stickers to get matching stickers in different sizes. Needless to say that this page includes many many stickers and you should be covered for a while. You can of course print it as many times as you’d like.